The correct positioning on a bicycle is fundamental. Feeling comfortable in the saddle helps performance and your desire to ride and sometimes just a few millimetres in bike settings make all the difference. 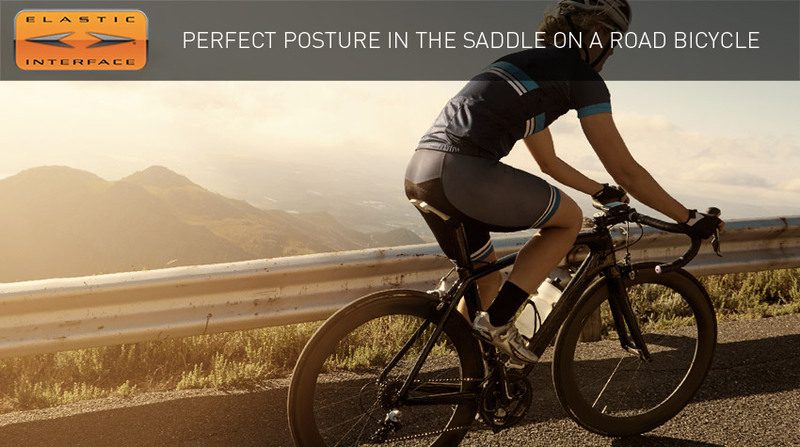 But what is the perfect posture for a road bike? We each have different physical features and a different pedalling style, making it difficult to establish exactly what is the best position to maintain on the saddle. However, let’s have a look at a few postural secrets for optimizing road bike pedalling. Riding your bike requires you to maintain the same position for a long time, even when you begin to feel fatigue and weariness, compromising performance and results. For this reason, it is important to have the right size bike, otherwise, any further changes would just be a stopgap. The best option would be undergoing a biomechanical test, in order to find out your exact anthropometric measurements. If you do not have the time or the possibility of having an exam done, there are tables or platforms online that, based on your measurements (height, weight, stepover height, shoulder width…), calculate the right frame size for you. That’s already a good starting point, right? The pushing phase of pedalling starts from the hip joint, therefore correctly positioning the saddle is a determining factor. The right height and the correct setback have a direct impact on performance and prevent damage to tendons, muscles and the skeletal system. Through the articulated leverage of the leg, the pushing phase reaches the chain and then the wheel. The better this function is, the less dispersion there will be and the greater the possibilities will be of maintaining constant power distribution. The height and setback of the saddle are two very important values for positioning yourself correctly on the bicycle, plus they have a very close connection to one another: it is impossible to make even the tiniest change to one without having to change the other. To find the right saddle height, you should make sure that the angle thigh-shin is 140°-145°; also, the saddle itself should be perfectly horizontal. On the other hand, in order to calculate the right setback of the saddle, when your foot is at “three o’clock” of the pedal cycle, your knee should be in line with the pedal hub. Cyclists’ shoes should be the right size in order to have no power dispersion. It would be important to have a personalized foot support inside the shoe in order to form a single body to apply the most possible power. Another factor to consider is the correct positioning of the foot on the pedal axis. Any error from this point of view will not allow the development of good pedalling, which, anticipating or delaying the “dead spot”, will create an inconvenient stagnant moment with a consequent lack of power. Since the position of your body on a road bike is generally aerodynamic, the angle between your chest and legs will be quite narrow. Consequently, the pressure point on the saddle will be shifted forward, toward the tip. You must therefore wear cycling shorts that are suitable for the discipline, capable of providing you with more support in the front area. Your muscles must work in optimum conditions because, in addition to having to put out power, they are directly involved in the venous return process, helping to dispose of the enzymes produced by fatigue. In order to prevent long distances and the related long times spent in the saddle from causing unpleasant joint pain, you should try to maintain a soft and relaxed posture as much as possible. You can try some stretching exercises to increase flexibility and to get your body used to a position that is not entirely natural. Following these guidelines, you will most likely be able to improve your performance and fully enjoy your future bike rides.